I’m very glad that I won but, most importantly, I was rather amused at looking at every other bookpile that was sent in. So, do I get two t-shirts and a CueCat (both Spanish & overall)? This is awesome! You do, indeed. Email me and let me know the size/colors(s) &c. And thanks for your entry! 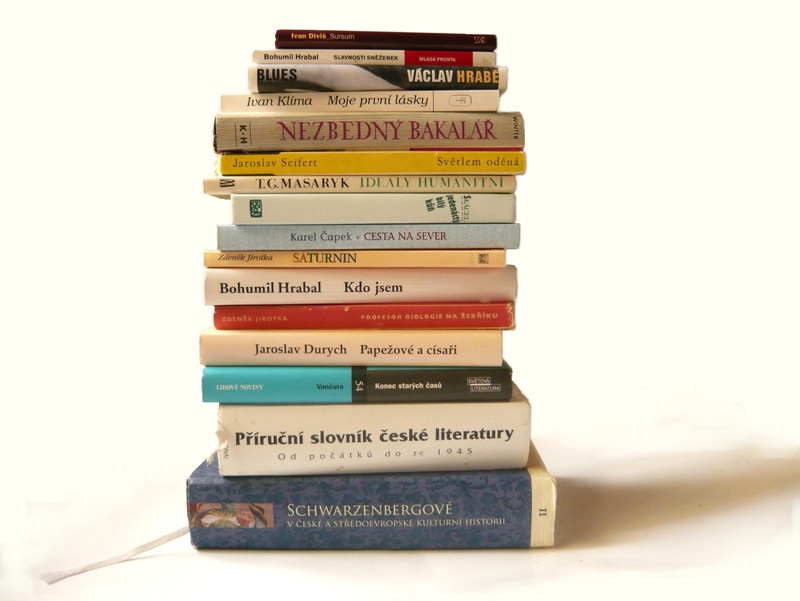 Where’s the book pile for the polyglot winner? The only image on janter2’s Flickr page is a monoglot Dutch one (and it isn’t even tagged “polyglot”). Did you link to the wrong image by janter2? Sorry about that! Yes, I’d mixed them up. janter2’s was a second Dutch winner, and I’ve got the polyglot correctly linked now. Where to send them, post competition? You can post links in this thread, that’ll be the best way to keep track of them. Thanks! The pirate one is outstanding. But I am a little sad it didn’t include Cursed Pirate Girl. Thanks for picking me as one of the winners of the Dutch pile, it is great to win something. Personally I thought I had few chances when I saw the razor sharp book pile of janter2. Thanks! Congratulations to all the winners! Great photos! zvr – We liked yours, but we couldn’t get it to crop right for the bookpile. Post another version (white background, titles all oriented toward the right edge of the image so that we can use them as a bookpile), and I’ll happily send you a prize! Mmm, the current image on the Catalan site isn’t a Catalan one. Any problem with the winning image? 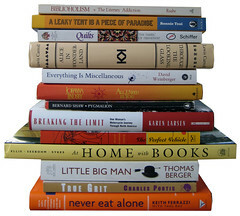 gamoia – we haven’t made the new bookpile images live on the various sites yet. When we do, they’ll show up there! 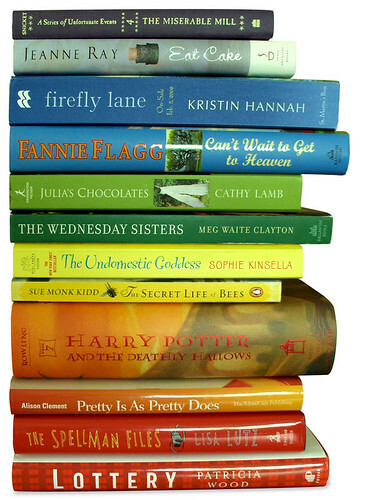 You won’t get around to using the ployglot bookpile I made instead of the Dutch one, will you? Oh this is interesting. The Chinese book pile contains what looks like one basic reader and three C-E dictionaries (one of which is also E-C).